President Uhuru Kenyatta has told Nairobi Governor Mike Sonko to focus on service delivery. This comes three days after Sonko’s deputy Polycarp Igathe said he is resigning. According to sources close to the county boss, he had a lengthy telephone conversation with the President, who had sought to find out why Igathe decided to quit. Igathe had said he failed to earn Sonko’s trust. Unconfirmed reports, however, say the real reason behind his resignation is that he is likely headed to managing business mogul Chris Kirubi’s empire. Kirubi has been recieving cancer treatment in the US since November. Igathe has worked for Kirubi before when he headed Haco Industries. It is understood that Sonko is the one who called the President to inform him of his deputy’s resignation. Last year when Igathe was asked to be Sonko’s running mate, he was told he would be the technocract running the city, while Sonko would be the capital’s political face. State House has for the past five months been involved in running the city’s affairs. The President has even attended a meeting where plans to regenerate Nairobi were discussed. A meeting called by the President last year saw Igathe and Tourism CS Najib Balala appointed to co-chair a technical committee of a special task force on programmes to improve Nairobi’s social and economic sector. Apart from nominating some county secretaries, both the President and DP William Ruto have also been deeply involved in the management of the city. Sonko is apparently unhappy with some of the people brought to City Hall. They include county secretary Peter Kariuki. Sonko has previously tried to create the position of deputy county secretary, which does not exist. “Sonko is a personal friend to President Uhuru Kenyatta and Deputy President William Ruto. They talked at length. Uhuru urged Sonko to focus on service delivery,” a source privy to what transpired said. Uhuru jetted in yesterday after an official visit to South Africa and is expected to have a one-on-one talk with the entire Nairobi leadership team. Yesterday, it emerged that Igathe and Sonko had several conversations prior to the resignation. 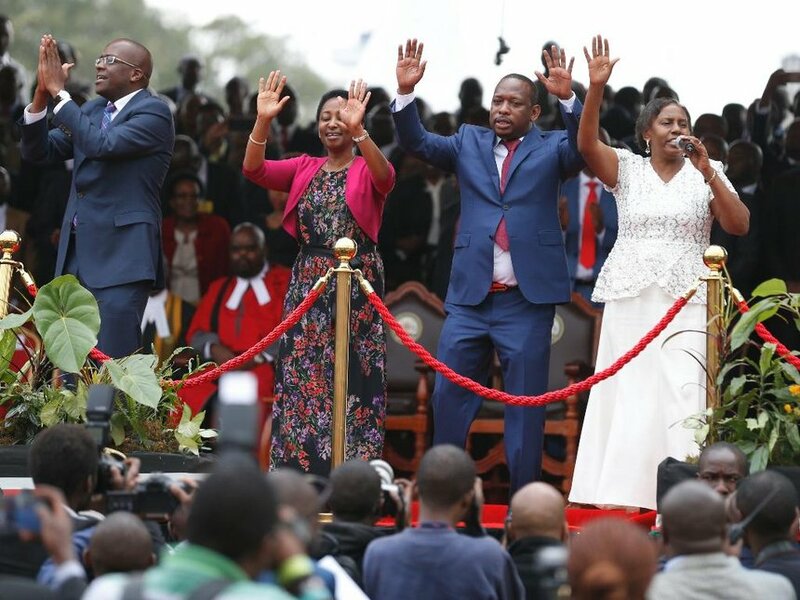 According to multiple sources at City Hall, the two seemed to have a “healthy” relationship and, in fact, Sonko explained to Igathe on Friday why he had declined to approve some inflated bills. Sonko is said to have instructed Igathe to attend an interview at NTV, where he explained, among other things, reasons why the they are struggling to keep the city clean. Sonko had said they inherited a bloated workforce, which has also been undermining his administration’s ability to serve residents. “The system that we inherited is a dead system. The garbage collectors were inherited from the defunct City Council in 2012. They are the same people who are sabotaging us,” he said. Sources said that before Igathe attended the interview, Sonko told him to give residents high hopes that they would transform Nairobi and explain to them that they inherited a city that was in a mess. Igathe is said to have agreed with Sonko’s directives. Sonko, who was at the Coast for the induction workshop of the county executives, had left his deputy to run his administration and to attend functions and media interviews on his behalf. Igathe opened the induction workshop in Kilifi at Sun and Sand Hotel, while Sonko closed it — both did not meet, as Sonko was said to be unwell. It is reported Igathe made his intentions to quit while in Mombasa, but it is not clear why he accepted to go for an interview at NTV on Friday — barely a few hours before he broke the news of his departure. Although he put up a robust defence of the Sonko adminstration, Igathe also admitted that they had failed to rid the city of garbage and the ever-present hawkers.